WHS is one of the first manufacturers worldwide, producing innovative machinery and plant for the chipless and low-burr-cutting of metal tubes, including the self-developed, patented, tear/break-system. WHS is a German company, producing machinery the cutting knife of which can cut up to 80.000 times (depending on the pre-product), which – together with the minimum material loss during cutting – leads to significant cost savings resp. profit increases. The client list includes world-famous companies like BMW, VW, Grammer, Stiebel-Eltron, GREENoneTEC, Geberit, Claas Viessmann and more, so that additional machines are working in further European countries as well as in China and Russia – smoothly and to the satisfaction of the clients. The clients consist of processors of precision tubes out of non-ferrous metals, all possible steel- and stainless steel materials, up to Titanium – including solar heating plants, heating- and air conditioning manufacturers, to the automotive and aircraft industries. Own developments, formerly patented, to store and feed tube- and pipe sections round up the production program. 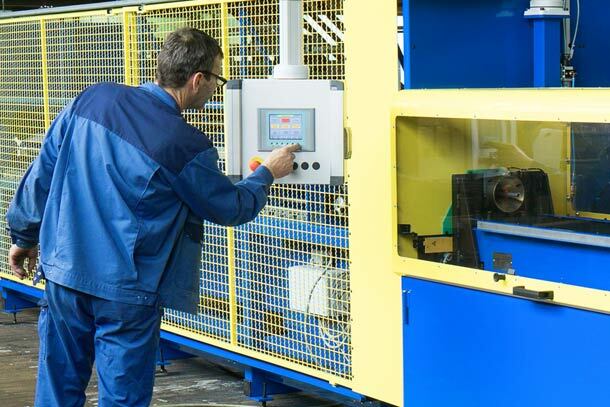 Our team of engineers and highly qualified production personnel develops, produces and installs our machinery. Two decades of experience enable us to solve even exceptional problems in your production.